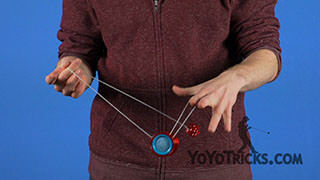 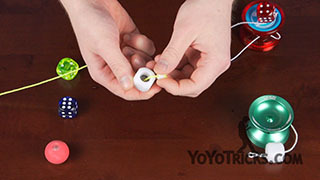 How to do Basic Stalls in Freehand yoyo play. 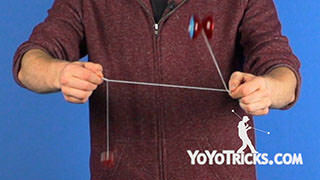 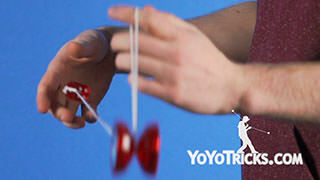 Basic Stall Yoyo TrickThis trick is called Basic Stall and it looks like this. 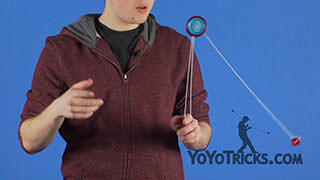 Basic Stall is a really important trick to master because the concepts that it teaches apply to every 5A stall trick that we are going to be teaching. 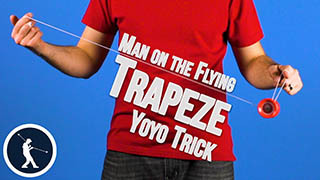 To start the trick you are going to want to throw into a Trapeze. 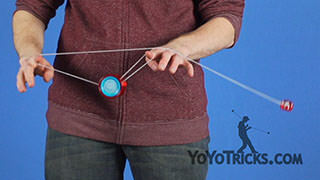 You want to check your string proportions. 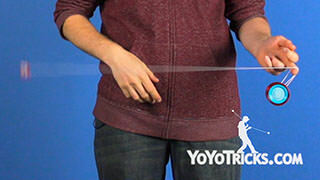 So same string proportions as we use for the trick 360, you want the string above your fingers to be about three times as long as the string under your fingers. 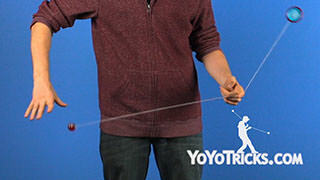 Once your proportions are right, get ready to throw the counterweight. 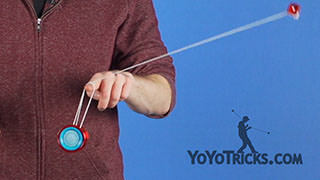 Rather than just chucking the counterweight over to our opposite side, instead we want to imagine the counterweight is following an arc with the yoyo as its pivot point. 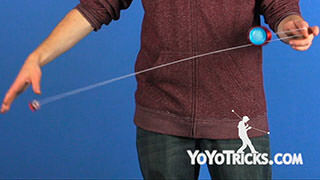 We want to move our hand along that arc and release it after we get some speed built up. 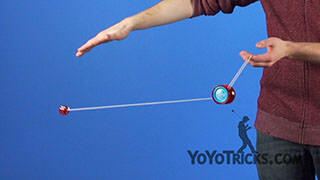 I am going to follow the arc, release it, and that is what lets the counterweight go around smoothly. 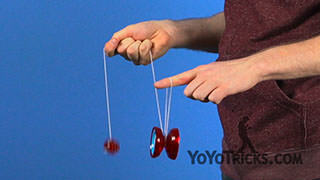 When I throw the counterweight you will see that it passes in front of my finger and not over my finger. 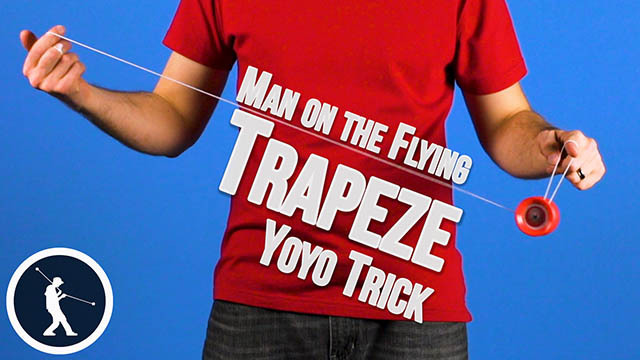 You do not want to be in a Double-On Trapeze, you just want an extra wrap around the bearing. As the counterweight is coming around and as its passes under your opposite hand, to stall the counterweight you need to move your opposite hand in the same direction the counterweight is traveling. 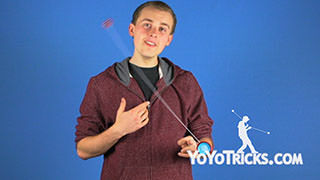 I am going to throw the counterweight, move my hand in the opposite direction, and as the counterweight reaches the apex of its swing, I am going to pull my opposite hand back, and then I’m going to catch the counterweight with my palm facing inwards. 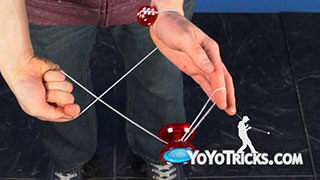 And that is the Basic Stall.